Use window screens. Screens limit reflection, and they provide a softer material than glass if a bird does fly into the window. Break up the reflection in the window. If your windows do not have screens, plant shrubs or trees near the window to obstruct the bird’s view of the glass. Suspend branches or shiny objects over windows that are struck often or consider placing multiple decals on the windows. 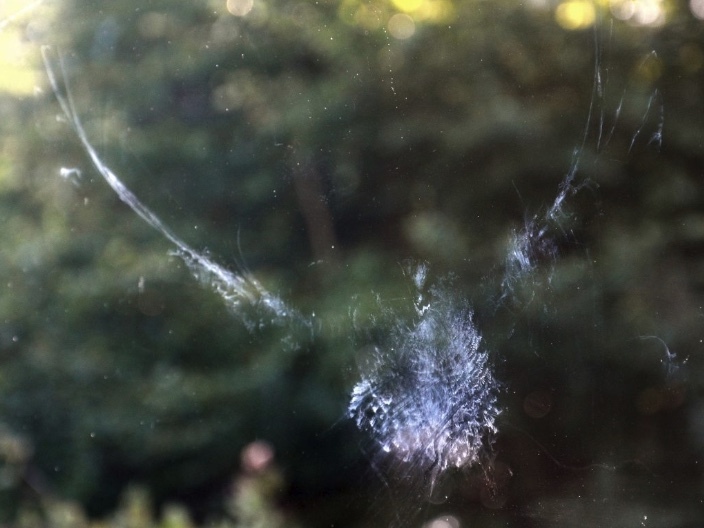 If bird feeders are near windows, make sure the windows are bird friendly by using multiple decals, tape, netting or other techniques. If you have sets of windows parallel to one another (for example, in a sunroom), consider using blinds or curtains one set so that birds cannot see through and try to fly to the other side.